Same content as the U.S. version above, with revised content specific to Canadian Defense Forces deploying to Afghanistan. 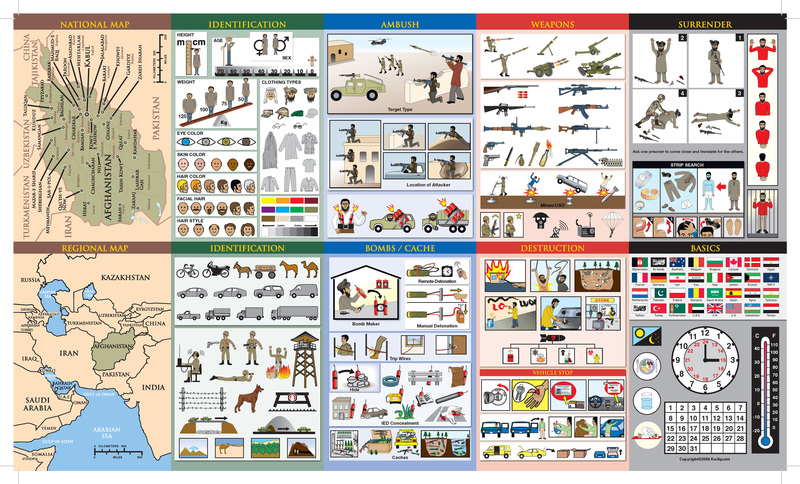 This Afghanistan Visual Language Survival Guide is designed to support service men and women deployed in Afghanistan and contains visual language content for dealing with situations including: booby traps, ambush, traffic stops, insurgent surrender, suspect/vehicle identification and detainee search. 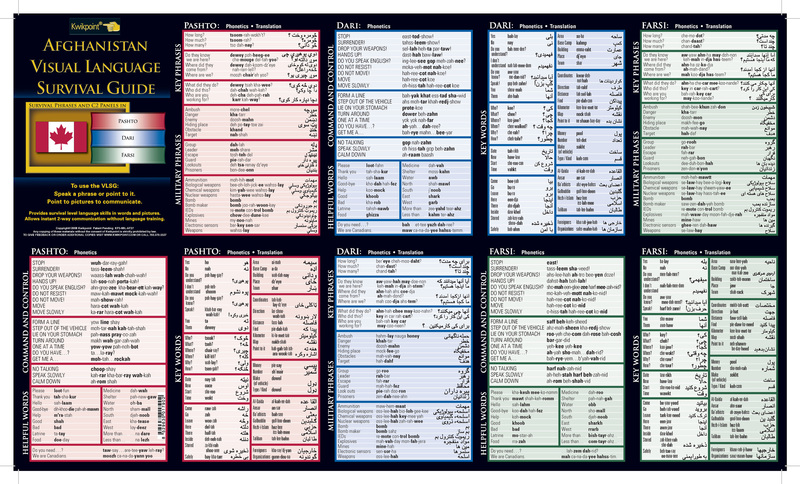 The card also has essential words and phrases translated into Pashto, Dari and Farsi, and written with phonetic spellings so that English speakers can achieve basic spoken communication.